Hello, film fans! 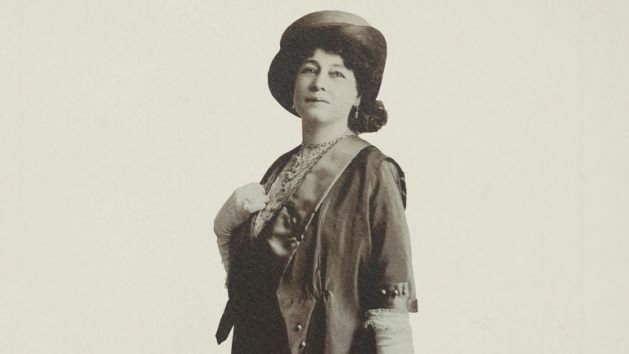 Chances are, you’ve probably heard of Georges Méliès and the Lumière Brothers, but have you ever heard of Alice Guy-Blaché, the original Queen of motion pictures? The answer is probably “no.” Despite being a pioneer of the medium — a trailblazer responsible for some of the first narrative fiction films and the first film with an all-African-American cast (A Fool and His Money, 1912) — the French filmmaker’s name doesn’t ring bells. I’ve been immersed in cinema for over 30 years and I had never heard of her until recently, when I had the chance to watch Pamela B. Green’s fantastic new documentary, Be Natural: The Untold Story of Alice Guy-Blaché. Guy-Blaché is from the old school. She was making movies before Alfred Hitchcock was even born; before the 1900s, nearly 15 years before Hollywood’s first film, D.W. Griffith’s In Old California. She was working on film sets (if they were even called that back then) as early as 1896 at the ripe age of 23, and she was the only female working in the industry during its inaugural decade. Who is she and how did she get involved? What were her films like? How come we’ve never heard of her?? These questions and more are answered in Be Natural, an entertaining and informative documentary that covers lots of ground while shedding light on an important subject. The doc sinked its hooks in me from the jump with an eye-popping opening sequence that throws a smorgasbord of nostalgic movie titles and logos at the viewer. It’s full of eye candy for people who love and live movie history and it’s jam-packed with old footage, photographs, film clips, maps, and moving graphics. This is the opposite of a Frederick Wiseman doc (that’s not a knock on Mr. Wiseman, just a comparison of styles) with lots of talking heads intercut amongst the array of visual info. Pamela B. Green’s doc is the product of a Kickstarter campaign (thank you, backers!). It features narration by Jodie Foster and its visual nature makes it worth seeing on the big screen if you have the opportunity. Long live the Queen! 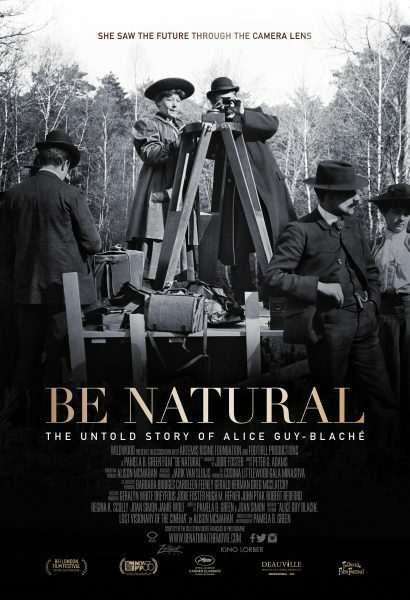 Be Natural: The Untold Story of Alice Guy-Blaché plays in Houston at 7pm tonight (Saturday, April 6th) and 5pm tomorrow (Sunday, April 7th) at the MFAH. Tickets are available here.